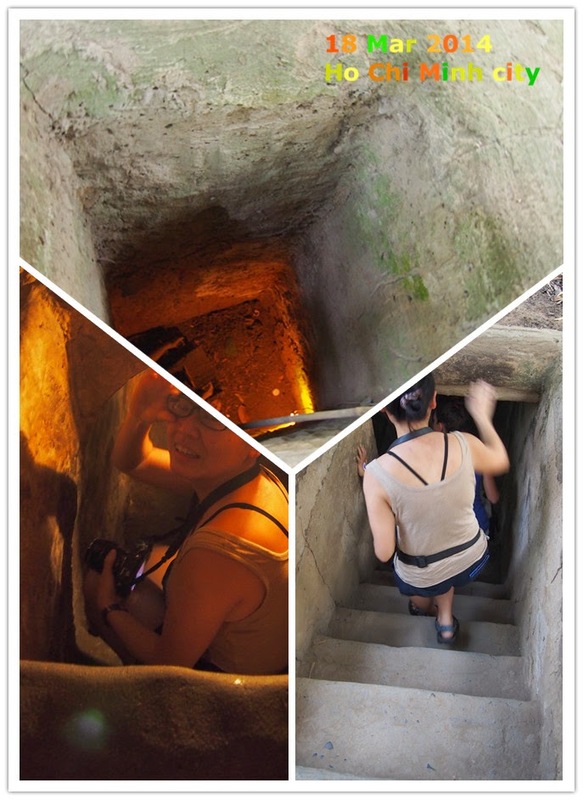 Around HCMC, I highly recommend you to visit the Cu Chi tunnels. Cu Chi is a town around 40km NW of HCMC. 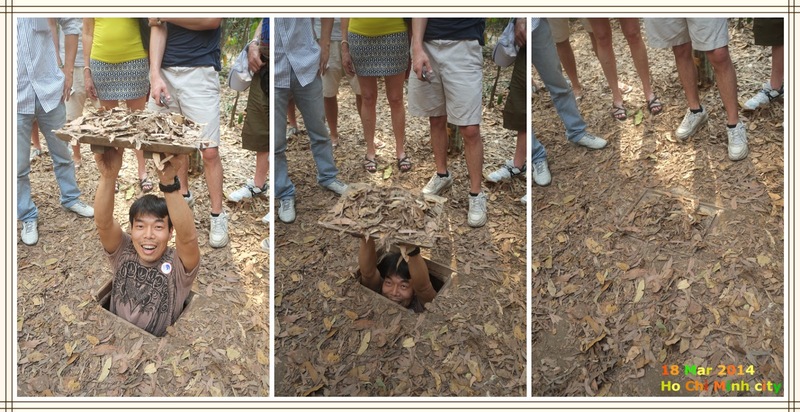 The Cu Chi tunnels is a tunnel system up to over 200km long, an immense network of tunnels less than 80cm wide and has three levels underground. The tunnel system was originally used by Vietnamese peasant fighters to fight against the French. Later on during the Vietnam war, the Viet Cong guerrillas used the tunnel system as their base. The structure inside the tunnel systems are amazing, it has hospitals, living room, sleeping quarters, meeting rooms, etc. etc… the tunnel system is entered thro camouflaged trap doors and there are booby traps all around the area. The tunnel system also has ventilation systems. The VC guerrillas live underground during the day and they control the forest at night. Since Cu Chi is just next to Saigon river, there is also an escape path leading to Saigon river. Of course, only a small portion of the tunnel system is now open for visit. They have already been enlarged to fit Western tourists. We tried the trap door, it is very narrow. Walked (should say crawled) in the tunnel for 200m, and we are already exhausted and crying for air…. It is very hard to imagine the live of the VC guerrillas inside the tunnel. 1. In HCMC, there are many tour agents. A half day tour to Cu Chi tunnel costs around VND 100,000. 2. There is also full day tour that also goes to the Cao Dai temple in Tay Ninh. I will highly recommend that as this is origin of Cao Dai and has the biggest Cao Dai temple of this unique religion in Vietnam. We missed it due to some problem with the tour arrangement. One day tour is VND 150,000. 3. 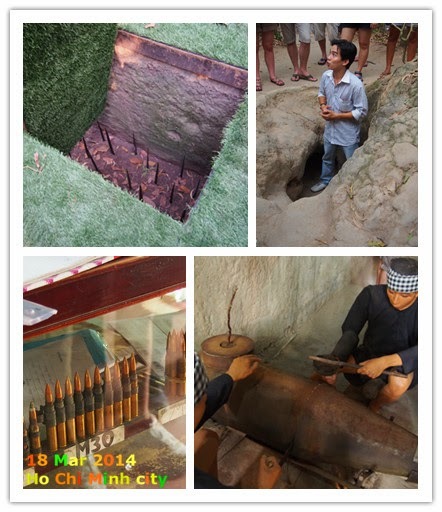 The entrance fee to Cu Chi tunnel is VND 90,000 per pax.